Lead generation tactics form the core of what marketers do, and they’re always changing. There are some staples, such as blogging and email nurture campaigns, that are tried and true. Everyone does them, because they work. However, savvy marketers are always looking for new ways to bring in the MQLs. The world of marketing is always evolving. It’s important to stay on top of what’s working, and what new tips and tricks are emerging. With that in mind, we’ve put together a primer on today’s top lead generation tactics. We’ll give you a quick rundown of each, and point you in the direction of further information where appropriate. Let’s start with the basics. Before you can design rock-star marketing, you need to know who you’re marketing to. Which seems obvious, but it’s the foundation your entire marketing efforts are built upon. There’s a whole world of potential customers out there. By necessity, you have to generalize somewhat and get a broad sense of your target audience. Ask yourself the question “who will most want to buy what I’m offering?” and write down some basic answers. You’re on your way to creating buyer personas. Back up your assumptions with market research and hard data. Perform surveys or interviews of your customers and use all that information to create a picture of your ideal buyer. That’s who you want to market to. From there, you’ll have a strong idea of the trends among your ideal customers. Use these trends to create fictitious personas. Add information for how your company can address their challenges and help them achieve their goals, and messaging approaches to take. Now you have a clear definition for what type of person you’re targeting, what their motivations and problems are, how you can solve that problem, and a basic strategy for reaching out to them. Once you’ve built a set of buyer personas, you’ll have a strong basis for who to target with your marketing efforts. Need somewhere to start? Check out this free buyer persona creation tool by HubSpot. Blogging isn’t exactly news when it comes to lead generation tactics. Everyone knows it works, and everyone does it. You probably do it already, too. But you could be doing it better. We’re not talking about writing better copy – you could have world-class copywriters behind your content and still not see much engagement with your posts. The trick to driving engagement is visibility. Your blog won’t get read if nobody finds it. Your goal with every blog post should be to hit the front page of Google. Google serves up a lot of links, but think about how often you actually click on page 2 of the SERP (search engine results page). Let alone page 3 or farther. The way to do that is with clever search engine optimization (SEO), well-written content, and valuable subject matter. It’s a balance of those factors that gets you the front page. At the core of SEO is your keyword. You pick a search term that you want to rank for and write a post around it, with the goal that when someone searches for that phrase, your post shows up. Many writers go overboard with injecting the keyword into their posts, though. You can tell when you’re reading a post that has been subjected to heavy-handed SEO. It’s full of repetitions of the same keyword, often crammed into sentences that end up sounding unnatural. Doing that is effectively shooting yourself in the foot – twice. Not only does it sound awful and drive readers straight to their browser’s Back button, Google recognizes when people are trying to game the system and penalizes their ranking. After that, focus on creating content that offers something to your readers. Teach them something, offer tips about something they’re struggling with or tools to make their life easier. This goes back to the buyer persona we were talking about before. If you offer a free, valuable bit of content, you’ll draw in more engaged readers and do better on Google rankings. It’s a win-win. Your website is a key touchpoint with your audience. It’s where your prospects convert into leads, and where leads convert into customers. In short, it’s a lead generation machine. It’s also a major pain point for many companies experiencing low conversion rate. If your content – like those awesome blog posts mentioned above – is bringing traffic to your site, that’s fantastic, but if they’re not converting, that’s not so fantastic. Even worse is if you’re running Pay-per-Click campaigns (PPC, more on that later) and that traffic isn’t converting. Then you’re actively spending money on website traffic that doesn’t fill out a form. Worst-case scenario, really. One thing you can do is perform Conversation Rate Optimization (CRO). This is the process of gathering data on how users engage with and experience your site, what actions they take there, and why they didn’t convert. The next step is to use that data to tweak your site to encourage conversion by focusing effort on what works while reducing focus on what doesn’t. This CRO primer by MOZ provides a great overview of what CRO is and how you approach it. Social media is one of the biggest opportunities any company has to generate leads. The number of people who can see and engage with your posts is staggering, especially if you keep up with engagement trends. There are two basic lead generation tactics for social media marketing. The first is viral marketing, which is where you focus your effort on encouraging engagement and, above all, sharing. Ideally, lots of people share your post, and their friends share it, and then their friends share it, and so on. We won’t be focusing on that in this post, but this Forbes article has some tips for viral marketing if that’s a strategy you want to pursue. We’re going to focus on the second method: paid social media advertising. This is where you can really put your buyer persona to the test. Various social media platforms provide robust advertising platforms that can become huge lead generators if executed properly. In particular, Facebook and Instagram have very powerful paid advertising options. 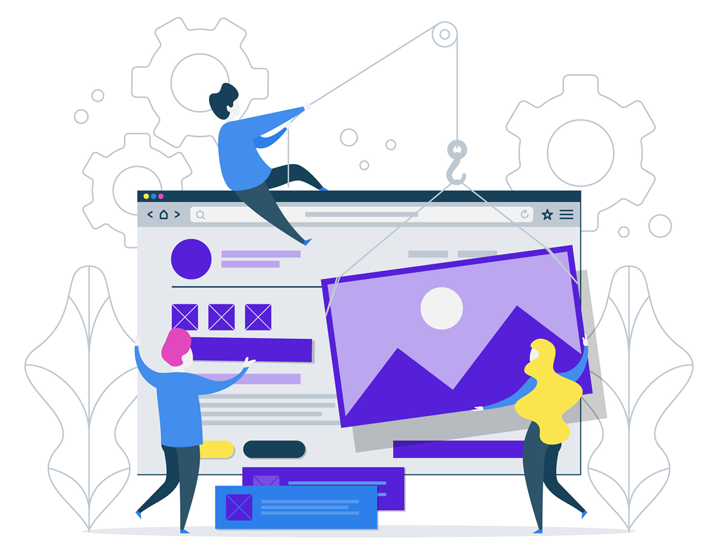 Each platform and style of ad has its own technical requirements in terms of things like character count and image size, and its own strategies and best practices around that. The real opportunity for lead generation here is segmentation. Grab your buyer personas and create ads with creatives and messaging that are laser-focused on those personas. Make a few variations, experiment with different image styles or messaging. Then send those ads out to precisely that audience. Keep an eye on each ad’s performance, and A/B test them. You’ll gain insight into what’s working better for particular audiences and be able to refine your targeted content. Then do it again. And again. Your ads will get placed in front of people who match your buyer personas, and if you created solid personas, you’ll see strong ROI. Email is the single most powerful lead generation tactic at your disposal. Nurturing leads means building a lasting relationship with your customers by providing value to them. You build trust with them by assisting with problems or challenges they face. Make it about them, not you. Your goal is to build customer trust and confidence by providing value to them. Don’t talk about how amazing your products or services are – in fact, don’t even mention them in the early stages. Instead, talk about challenges they face and how to overcome them. Write a killer subject line. No matter how good the contents of your email are, if your subject line doesn’t resonate with the recipient, they won’t read it. Don’t fire and forget. Keep tabs on your nurturing emails’ performance, analyze what’s working and what isn’t. Try new things, and continuously improve on what works and cut out what doesn’t. When you’ve got your leads firmly engaged with what you’re providing them, that’s when you urge them to convert. They’re much more likely to listen to your offer once they’ve been softened up for it. This HubSpot blog post is full of ideas and examples of their own nurturing campaigns. This one can be daunting, but it’s a particularly effective lead generation tactic: attend events. Attend trade shows, set up a booth with a great banner and personable staff. Show off your products. Set up a quick survey on a handful of tablets and urge your booth visitors to fill it out. If you’ve got a particularly smooth talker on staff, try setting them up to give a talk at an event. You’ve got an audience that’s actively interested in what you’re saying, so take what your company knows best – whatever problem your products solve – and talk about it. This requires significantly more effort than writing up a blog post or email campaign, but you know that everyone at the event is actively interested in your topic. You can generate fantastic leads this way. Capterra offers some tips on speaking at conferences here. It’s geared towards B2B software marketers, but the concepts and strategies presented can be applied to any industry. Everyone uses Google. Their pay-per-click platform is one of the most in-depth and powerful advertising options out there. A whole lot goes into a successful Google Ads campaign – there are companies that specialize solely in running campaigns for their clients. In a nutshell, Google Ads let you create compact ads that will be served to searchers at the top of the SERP when they search for particular keywords. You define the parameters of how your ads are displayed, how specifically the search needs to match your keyword for that ad, and much, much more. You pay for each time someone clicks your ad. A major part of Google Ads strategy is not only defining what searches should show your ad, but which ones shouldn’t. Since you’re paying per click, you only want people who are actually interested to be clicking. Google Ads is an opportunity to get your ad in front of exactly the right audience who is searching for exactly what you offer at that very moment. It takes time, though – one of the biggest tricks to success here is not to tweak all the time, only when it really matters. It takes a long time for an Ads campaign to reach its potential, and every time you go in and change the content, you’re forcing Google to start learning from scratch. For a more in-depth look at best practices and strategies, take a look at this IMPACT article, The Complete Guide for Marketers for Google AdWords in 2019. If your company’s been around for a while, you probably have all kinds of old content like blog posts and white papers sitting forgotten somewhere on your site. Revisiting and refreshing that content can be a great way to quickly inject new life into it. It might be small things – maybe your company logo and style guide has changed since it was written. Maybe you’ve gotten a lot better at SEO since then. Go back and polish up old posts and content and push them again. There’s no reason good content should stop generating leads for you just because it’s old. Someone spent time and effort creating it. For example, you might have a handful of blog posts that touch on a subject you covered in detail on a new post. Going back and linking to that new post from them is a double win – that post becomes more SEO-friendly with more outbound links, and your new post gains more link equity. Let’s look at a prime example of this. That page about link equity we just linked above is by Moz. You’ve likely seen with the name – they’re a huge authority on SEO. Much of their success was initially driven by their Whiteboard Friday videos. They still do them today. They’re a simple concept: someone standing in front of a whiteboard, explaining and illustrating a particular topic. The value for the visitor is immense. It’s like getting free expert training. The value for you is immense, too. You’re nurturing leads, positioning yourself as an authoritative resource in your industry, and getting some heavy SEO benefits in the bargain. Google loves video content. Take a cue from Moz. Have someone in your company talk about a high-value topic related to what you do. Do some research on what people are searching for on Google, and create a video that covers that topic. Show how your products work. This is especially useful if you have a fairly new and innovative approach with your products. A video that walks the viewer through exactly what it does and how it works is far more informative than any text on a screen. Marketers tend to shy away from the term “outbound marketing”. It’s often thought of as intrusive, like spam emails or getting your dinner interrupted by a telemarketer. Marketers use paid social media ads, though. And Google Ads. Viral marketing. Even normal social media posts with the intent to drive exposure. That’s all outbound marketing. Nobody opted in to your paid social media ads. Everyone just accepts it as part of using the platform. All of those tactics have the goal of lead generation, and are targeted at a particular audience – buyer personas. Outbound email marketing is exactly the same thing, if it’s done right. The trick is to apply the same thought process as you do with all your other lead generation. Use your buyer personas to determine your target audience, and only send to them. This is where the difference is between intrusive spammy emails and clever lead generation. Done properly, this tactic can generate leads at a far higher rate than inbound marketing. That’s not to say you should do it instead – use both. Inbound and outbound, along with strategies for using both and blending them together, are outlined in more detail in this blog post. 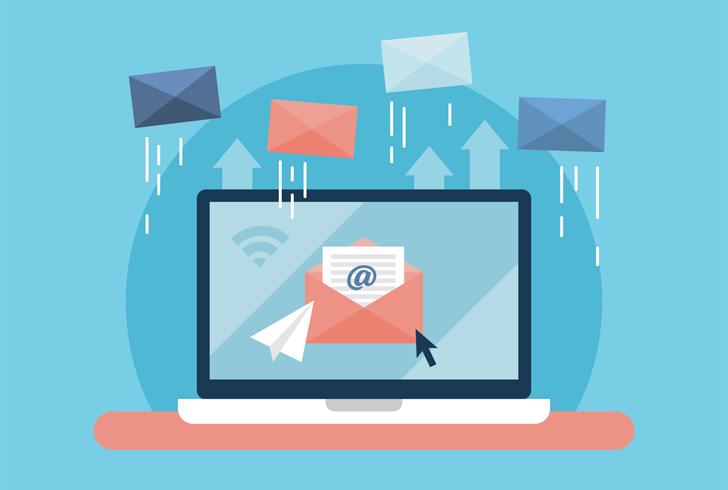 If you want to make the most of your outbound emails, try Clickback MAIL. It’s an email platform designed to enable top-notch outbound marketing, with recipient list verification and sanitization, multiple layers of safeguards against blacklisting, and other powerful tools. Following all these strategies, your website should be experiencing an increase in traffic and conversion, which is great. There’s some bad news, however. No matter how well your website’s conversion rate is doing, there’s a huge proportion of your website visitors that are leaving without converting. Data shows that 98% of website traffic leaves without converting. That’s a lot of potential leads leaving your site without giving you a way to contact them. It’s a frustrating thing to realize. Thankfully, you can do something about it. Website visitor tracking software like Clickback WEB identifies your website visitors and provides you not just with analytics about the traffic, but their contact details as well. You can define exactly what sort of visitors you want to see, based on many criteria such as their company’s industry, revenue, or size, how long they spent on your site, which pages they visited, and more. It even gives you a list of leads in your inbox every day. Now, when your inbound efforts bring in the traffic but don’t quite manage the conversion, you don’t just lose that lead. See it in action for yourself with a free, no-obligation 14-day free trial. There have been a few running themes throughout this article. The first one is target your marketing to the right audience. It comes into play in every channel, every piece of messaging, every image. If you refine your buyer personas to reflect precisely the people who are most inclined to be interested in your content, your lead generation will soar. The second overarching lesson is to constantly experiment with what works and cut out what doesn’t. The best path to success is to never stop refining your marketing. On every channel you use, iterate on what works best and phase out what isn’t working so well, constantly. It takes effort and no small amount of creativity, but if you do it right, you’ll never stop improving your marketing.